Ref4Bux is a PTC site which has lots of daily ads. Their advertising is very cheap. You can advertise your site for as low as $0.01. There is no minimum payout for Paypal. You must click at least 150 ads before making your first cash out request. You must also have clicked at least 250 ads during the previous 7 days in order to cash out. You may cash out once every four days. 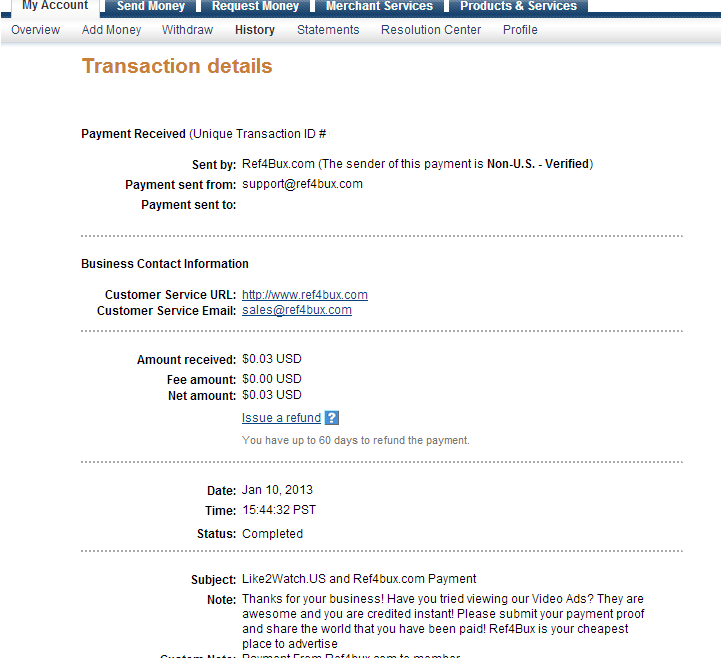 This site had a hacking incident, where someone cashed out with other members' accounts but they have since recovered. 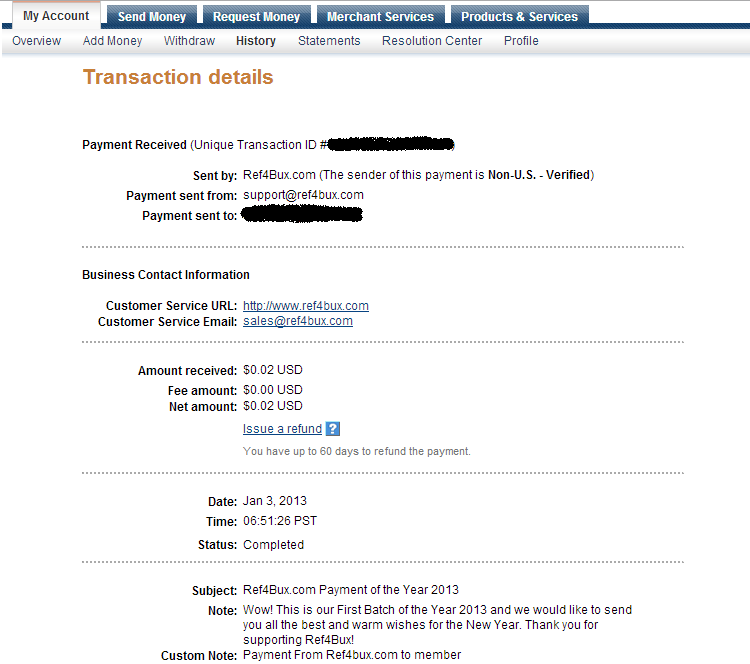 As a result of this incident, your Paypal/Payza email must match the email that you used to sign up. If they do not match, send a support ticket before cashing out. Unfortunately, standard members only earn 5% of each click's value but there are usually over 100 ads to click daily. There is also a video offer wall, which credits in points that can be converted to cash for your purchase balance. You can use this cash to advertise your own links.